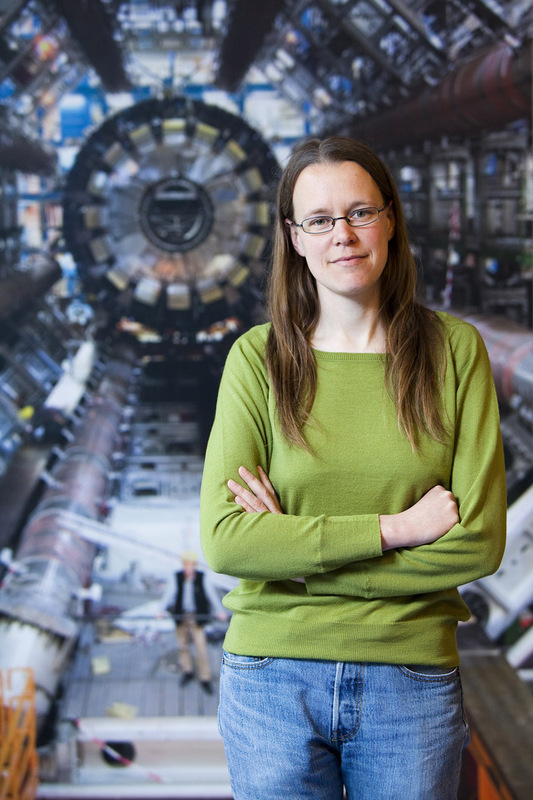 For her contribution toward the discovery of the Higgs boson, Kerstin Tackmann was awarded the Young Scientist Prize in Particle Physics 2014 by the International Union of Pure and Applied Physics. The award was presented to Kerstin at the International Conference on High Energy Physics in Valencia, Spain in July. The discovery of a particle consistent with the Standard Model Higgs boson was first announced at a seminar at CERN two years earlier, while the 2012 edition of that same conference was taking place in Sidney, Australia. But this wasn't the first time Tackmann was being recognized for her work. She also received the Bjørn Wiik Prize 2012 and the Hertha Sponer Prize 2013 from the German Physical Society. "It is always nice to get recognized but in a collaboration like ATLAS, everyone contributes. We have small pieces we put together and my piece was probably much smaller than some others," says Tackmann. Her detailed studies on photon reconstruction and the measurement of the photon identification efficiency were an important contribution that helped make the discovery of the new boson possible in ATLAS' two photon decay channel. "I began working on photon reconstruction because it lacked effort and I wanted to help," says Tackmann. "I didn't do it for the awards. None of us do. We do our work because we enjoy it and because we love physics." Tackmann got her PhD degree at the University of California, Berkeley in 2008, after which she became a CERN Fellow and joined ATLAS. In 2011, she started a Helmholtz Young Investigators Group at DESY, the German high-energy and particle physics lab. The group, which includes five students and a post-doctoral fellow, focuses on the two-photon decay channel of the Higgs Boson, but also pursues other physics topics and helps with the upgrade of the Silicon Microstrip Tracker for ATLAS. As a young scientist, she says, building a career is a challenge, and often young scientists cannot predict where they are going to be in a few years. Throughout it all, it is important to like the work you do and to do work that is needed for physics. "In ATLAS, we work with many smart and dedicated people from all over the world," says Tackmann. "The awards are reminders that what we do matters. It is also important to remember, however, that we work together in teams."